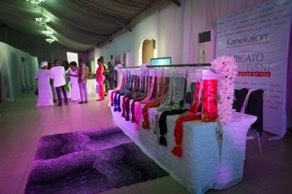 Nigeria as Kanekalon, the world’s manufacturer of premium quality synthetic fibre for hair extensions took the day out to appreciate them in style at the Kanekalon Presents Arigato Stylist Event. 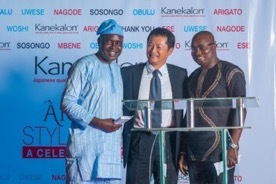 Arigato means appreciation in Japanese. 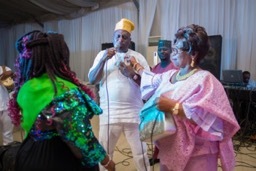 The event, which was anchored by comedian Koffi and OAP Kaylah Oniwo, had in attendance members of hairdressers and stylist associations in Nigeria such as Mr. Xabury Omooseparo, Chief (Mrs.) Olufunmilayo Ughutevbe, Alhaja M. M. Bakare; hair distributors like Chief Marcel International, Madam Koya, Mr. Martins Obiako, Madam Goodness and Mercy International, Madam Defendis International; and style icons such as Mama Elegant Twins: Dr. (Mrs.) Adebisi Osinsanya (OON, JP). 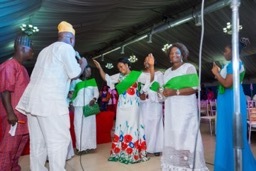 Posthumous tributes were also paid to some pioneer distributors of hair such as Madam Comfort Erus, Madam Chika Tina, His Royal Highness and Lolo Romay. 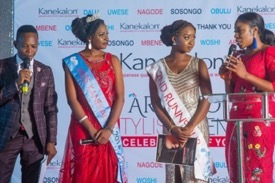 Also in attendance were the current Miss Kanekalon: Benahili Ojeme, second runner-up: Opaoluwa Ojotule, as well as Mr. Nakamura and Mr. Seko who represented Kanekalon, and Mrs. Omowunmi Owodunni, MD, STB-McCann Lagos, the brand management agency. 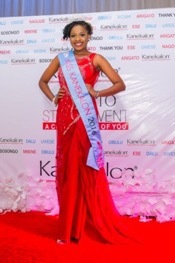 Kanekalon apart from producing the finest hair products which are globally loved, soft and silky, flame retardant and created with a unique hot water set technology, also creates platforms for the empowerment of young women through its Miss Kanekalon Pageant. 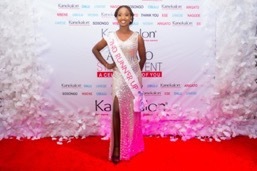 This was further reinstated by the reigning Miss Kanekalon: Benahili Ojeme, who stated that winning the pageant had remarkably transformed her life, as she invited young girls to participate in the oncoming pageant in 2018. 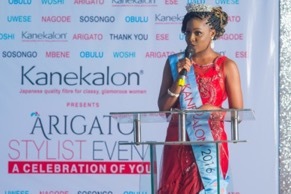 The high point of the event was the unveiling of the Kanekalon Hair Tips Video, featuring Benehili Ojeme, who thrilled the audience as she offered amazing tips on how to create her gorgeous hair style. 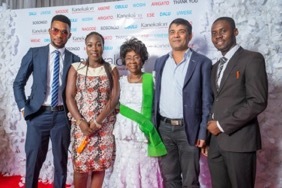 With a life band to serenade the audience and an atmosphere fit for queens, a vast array of exotic food and drinks, Kanekalon went all out to say thank you to its guests. 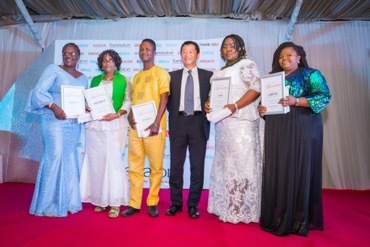 But, that was not all. 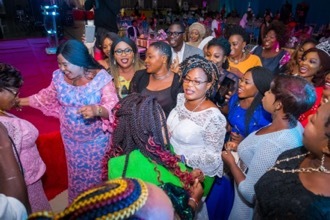 In showing its appreciation, members of hairdressers and stylists associations present were given gifts and certificates, while all guests received a beautifully packed gift bag filled with an array of hair extensions, hair and beauty products. 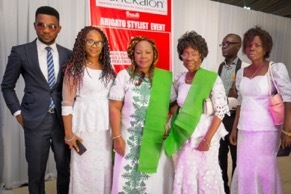 Surely, this will be remembered by members of the hair industry as a daywhen they were not only celebrated, but also appreciated for all their efforts towards bringing out the true beauty in Nigerian women in association with Kanekalon.